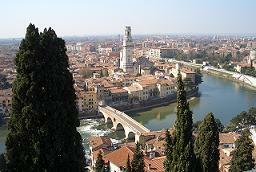 The Lorì is a brooklet that begin its course in Avesa, a village that is a part of Verona and is placed on a hillside. 'Lorì' derive from ancient italian language 'lo rivo' (it means 'the river'), and then shortened 'lo rì'. 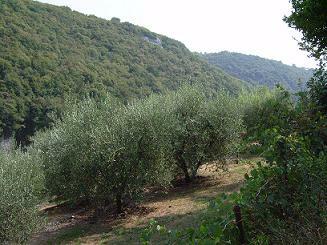 The word 'Avesa' could derives from the latin 'Aves', that means source. 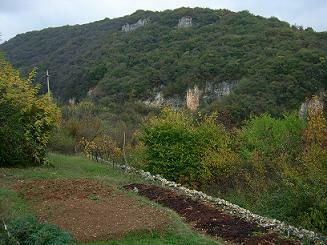 The source is placed at 125 mt on see level and receives rainwater that flows throught calcareous rocks and earth. It flow out at the average temperature of about 12°C, because of the mild climate of all this area (sub-mediterranen climate). From the half part of the XIV century the Lorì became an important acqueduct (waterworks) for Verona, infact in the 1368 Cansignorio della Scala brought its water until piazza Erbe, where a fountain was built to serve 300 families. 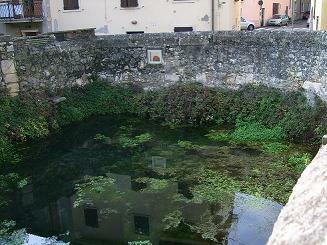 Instead in the country the Lorì was used to irrigate growings and to make work about 8 mills. There were severe rules that forbidden to dirty the water and the washerwomen must work only in side water intake used also to irrigate vegetable garden. The importance of Lorì as acqueduct of Verona finished in the 1885 because of the bilding of a new one in S. Zeno in monte. Now unfortunately this brooklet was forced to run in a cement canal for the great part of its course so we cannot be delighted of its beauthy. 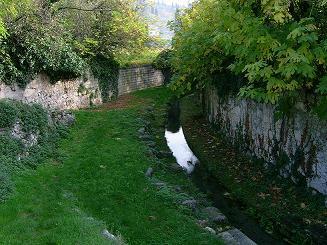 The Lorì runs under via Mameli enough near our house and then flows into Adige. AMT: parcheggi, verona park, ecc. 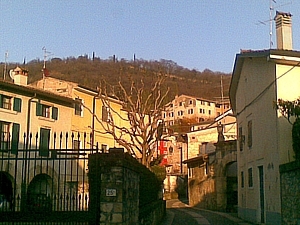 If you walk along the main street of Avesa towards the north, you can see on the left side of the road the pizzeria Fontana, just in front of it, so on the right side of the main road, there is a little street called 'via sorgente del Lorì'(it means 'lorì head street'). Take this little street, after about 15 mt. you can see the head river that is walled in. About 150 mt. towards south you can visit an ancient church of Camaldolesi and an old and characteristic wash house. It takes about 35' on walk to go to the head river from our house.